Simple, Versatile and Cost Effective propulsion systems to provide mobility to satellite platforms and nanosatellite deployers providing up to 1 mN of thrust. The system is specifically conceived to represent a trade off between costs and performances, targeting a substantial cost reduction respect to currently available high-delta V units. The system is conceived for satellite platforms requiring high delta-V (typically in the range 6 to 70 kg of mass, 20 – 80 W of power). 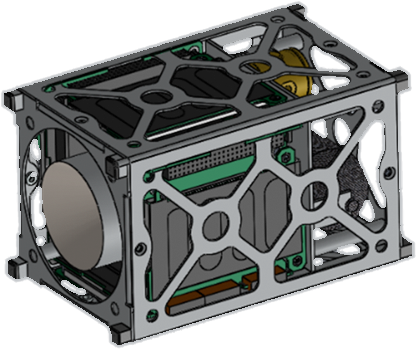 It is build following the box-all-in-one concept on which PPU, PCU and thruster occupy an overall 1 Unit Cubesat volume. Propellant tank and FCU are integrated at the top of the system occupying a volume which depends on system requirements. Thanks to its architecture, with no exposed electrodes and neutralizer the system is capable of long life time also in case of oxygen rich environment (low orbit). The motor itself is very versatile in term of mission profile, putting no limitation on restart capabilities, and allowing throttling if necessary. The system can work with many different gases (CO2, Argon, Xenon, Iodine and others) making it adaptable to different mission scenarios and future customers’ needs. The REGULUS motor interfaces with the satellite using CAN BUS or i2C thus suitable for an ease integration. Intense knowledge of the system behavior resulting in reduced/limited risks for flight systems development. Capability to translate customers’ specific needs of system scaling to cover different power and thrust level requirements, in limited time and costs. Continuous Drag Compensation, Orbit raising, Orbital plane changes, Decommissioning, Deep Space Exploration of mini and micro platforms which can deliver 10 to 80 W power. The motor on different version is under development since 2008. Since then more than 10 Laboratory units and one Engineering model have been developed and tested. Extensive thrust measurements have been performed. Currently comparison test in other Electric Propulsion facility are scheduled and a final qualification unit is under development. REGULUS is under development and it will be qualified in Q4 2018. An In-Orbit Demonstration mission is planned for Q2 2019. We are working on magnetically enhanced RF plasma technology propulsion systems since more than 10 years. Starting from the sketch, we designed, manufactured and tested our plasma systems, solving the stoppers for its maturation. HPH.com, funded by the EC FP7 Project. Consortium coordinated by the University of Padua, comprising 15 partners from EU nations and 2 ICPC countries. SAPERE-STRONG, funded by MIUR. Consortium coordinated by Thales Alenia Space Italia (TAS-I). 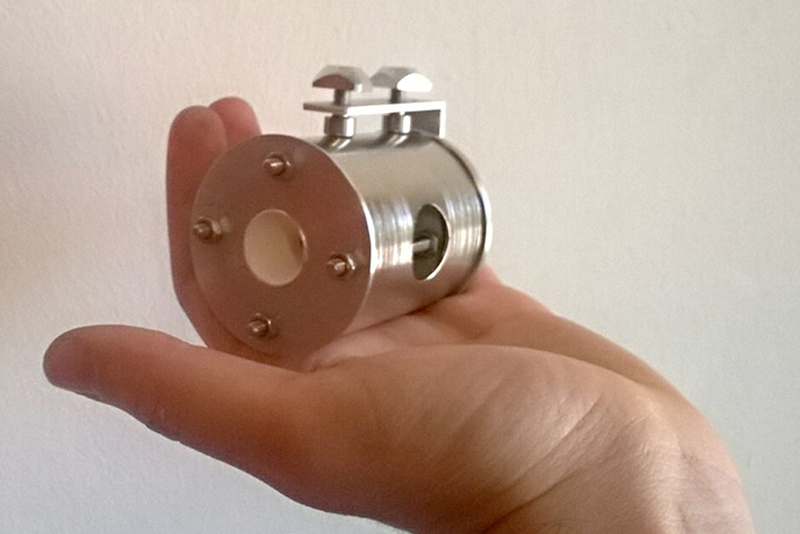 Development of a 1kW class thruster for tug applications. 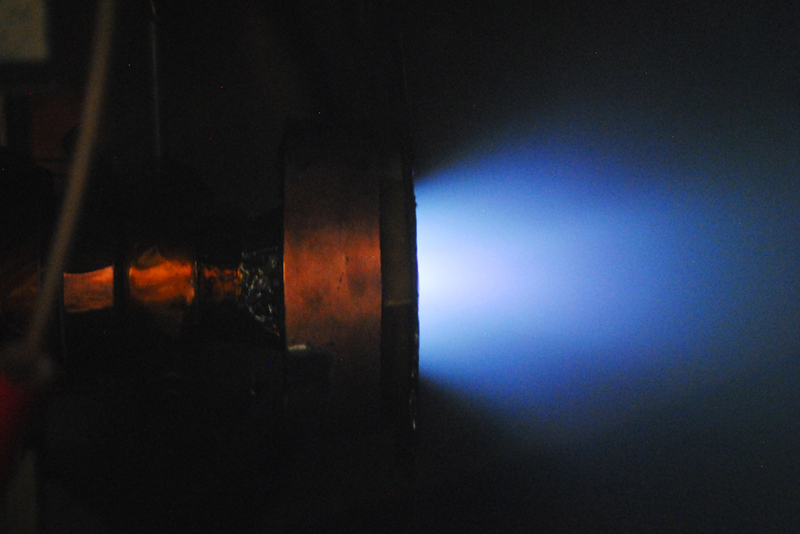 Development of an innovative Magnetically Enhanced RF plasma thruster suitable for small satellites, founded by EC SME Instrument Phase I.
through a combined experimental investigation. We design, develop and test PPUs, RF networks, plasma sources and plasma thrusters. We design, develop and optimize numerical codes for full thruster simulations and plasma plume spacecraft interactions. We develop vacuum chambers combining different diagnostics and thrust balances for RF thruster testing. The system is based on Magnetically enhanced RF plasma concept, which is peculiar for its physics comprehension complexity and engineering implementation simplicity. The thruster is characterized by a very simple structure: a dielectric cylindrical ionization chamber (discharge chamber), a radio-frequency (RF) antenna, a gas injection system, a magnetic system for plasma confinement (within the chamber), an outlet diaphragm and a plume screen. The propellant is first ionized by means of the RF antenna and then expanded within the magnetic nozzle. The system does not present electrodes immersed in plasma and since it ejects a neutral plasma, it doesn’t require a neutralizer, simplifying the fluidic section and the PPU section. The thruster eject plasmas into space thus doesn’t require neutralization systems. Moreover, it doesn’t implement grids or electrodes exposed to plasmas, thus allowing a very high life time. We have developed an innovative type of antenna system in order to allow better coupling and easier matching in space applications.